The Oracle is the smallest and most flexible full production cluster system on the market. The system consists of a Central Vacuum Transport (CVT), Vacuum Cassette Elevators and up to four Process Reactors. These process reactors are docked to the central loadlock and run in production-mode or can be operated independently. 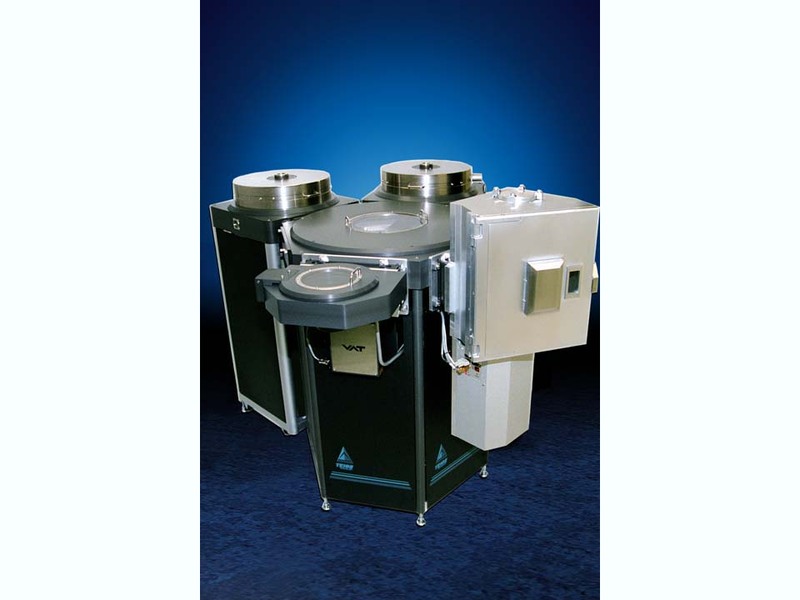 The Oracle can also be configured for either the laboratory environment (with single wafer loading) or for full production (with vacuum cassette elevators). Because the Oracle accommodates up to four separate process chambers, there are many possible process combinations, including ash, etch, and deposition modules. Processes are safely run without atmospheric contamination since all chambers are vacuum loadlocked. Compound Semiconductor, Photonics, Research & Development, Pilot Line, Production.